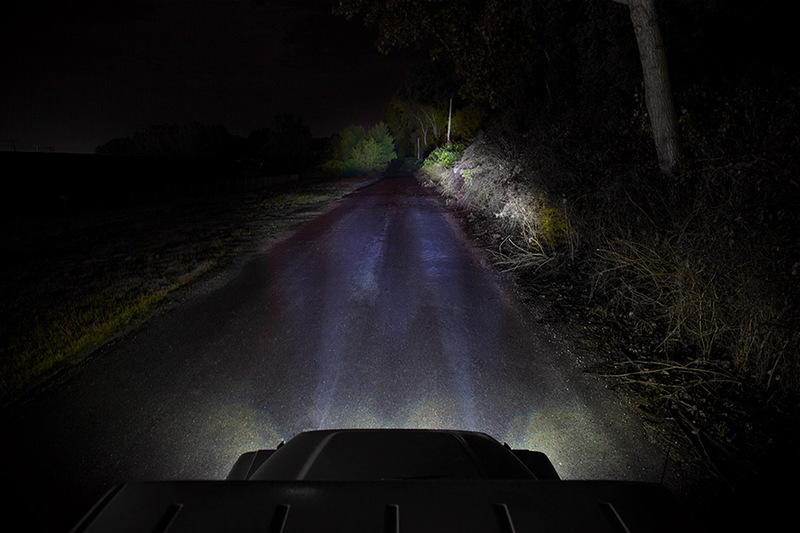 LED Driving Light - 3" Square - 25W: Shown Installed On Jeep And Showing Beam Pattern On Dark Road. 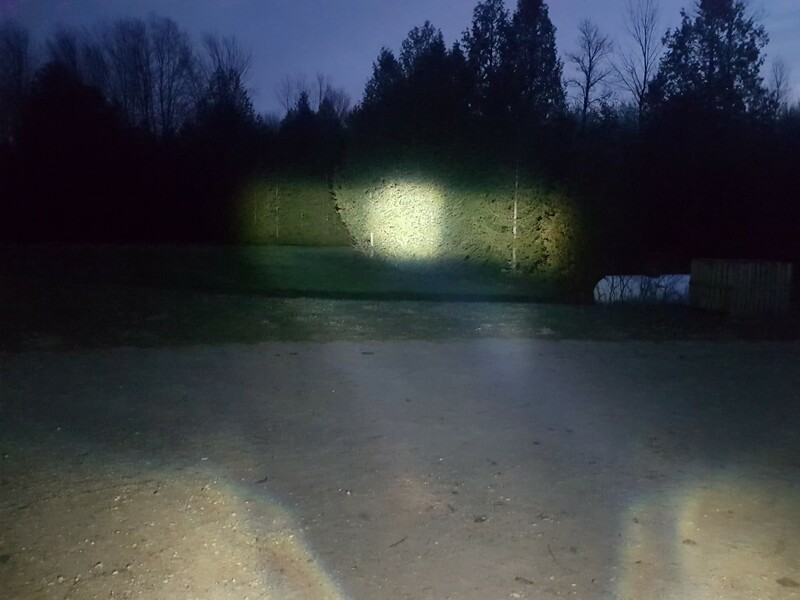 LED Driving Light - 3" Square - 25W: Aimed at Target 20 Feet Away. 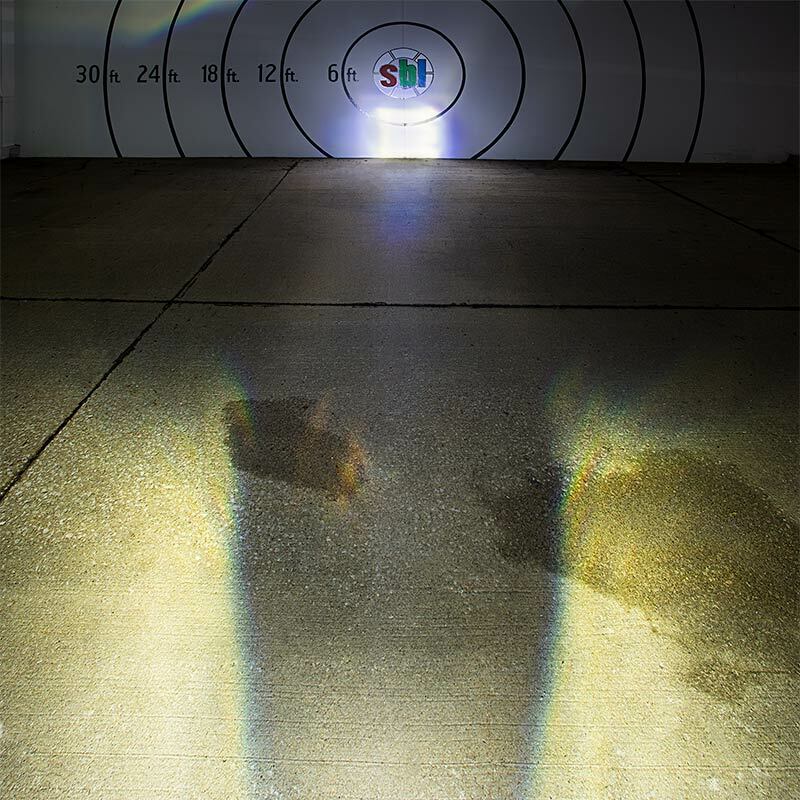 Light Placed 20 inches from Ground, Taken at Driver's Perspective. 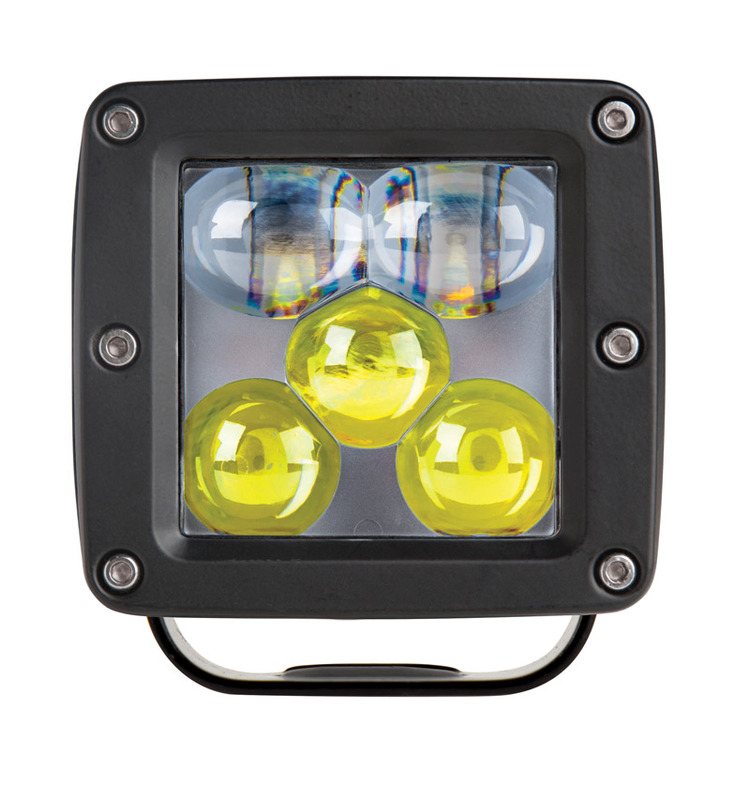 This DOT-Approved LED fog light is great for use on trucks, motorcycles, or off-road vehicles, such as ATVs and UTVs. 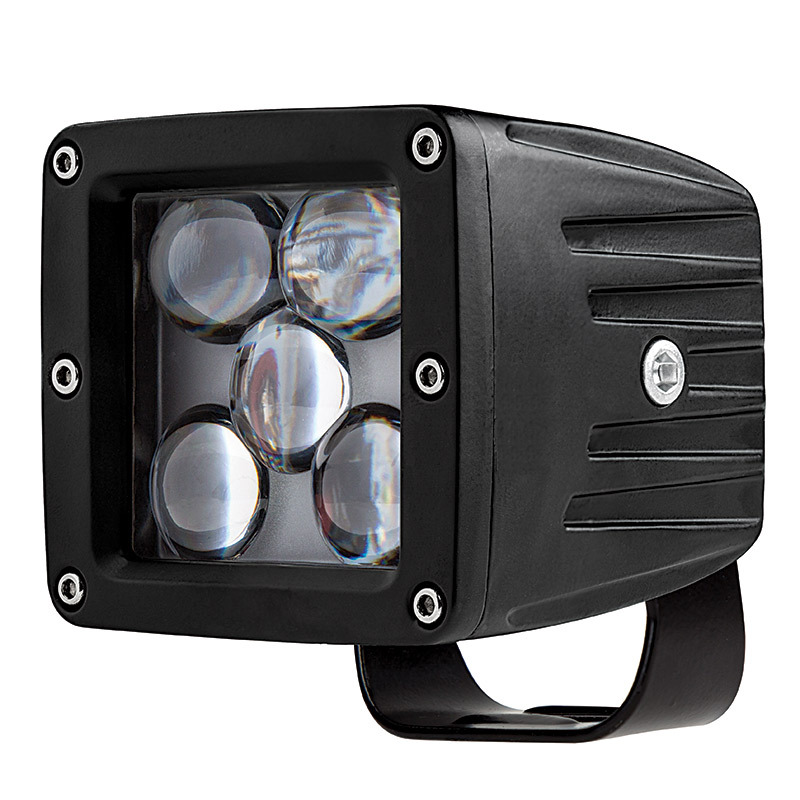 LEDs in the 3" square fog light emit 1,700 raw lumens of cool white illumination in a narrow beam pattern that's perfect for long-range trail and path lighting. 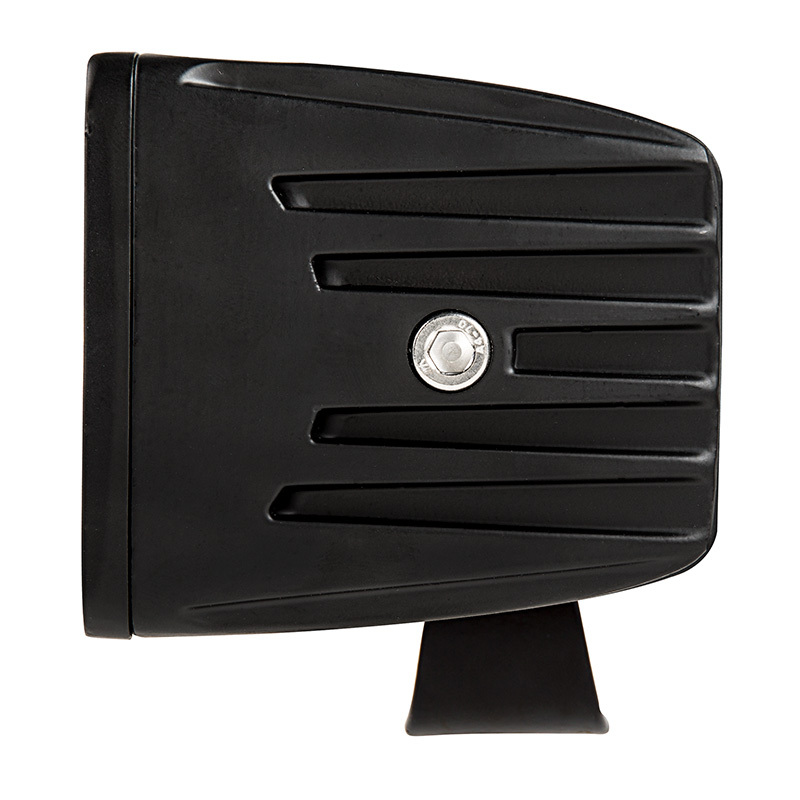 The 20-watt waterproof LED light is constructed of a shatterproof polycarbonate lens and a black painted aluminum alloy housing that acts as an LED-cooling heat sink. 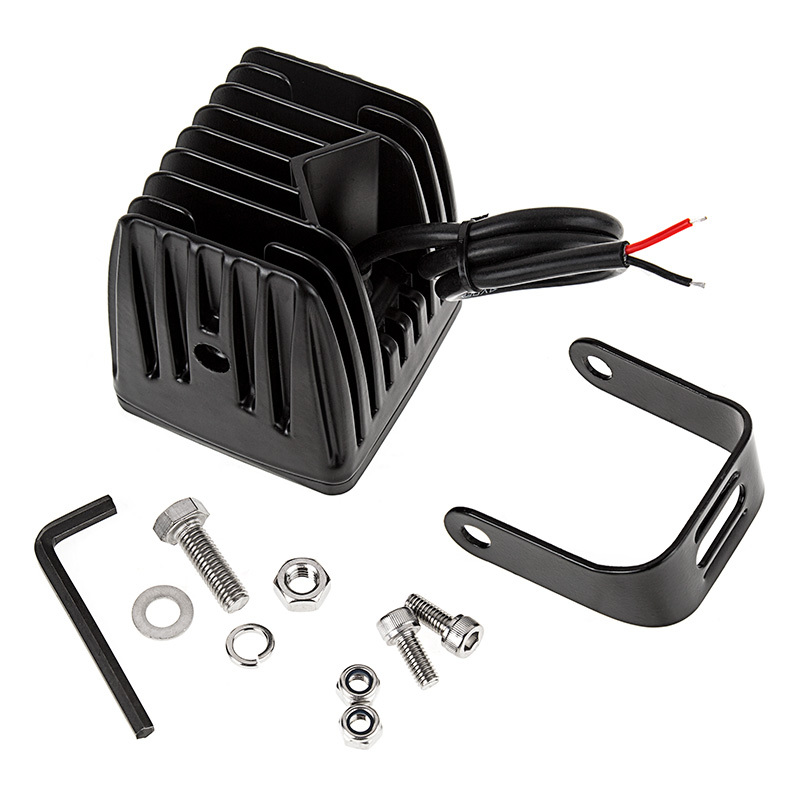 An adjustable mounting bracket is included along with bracket installation hardware. 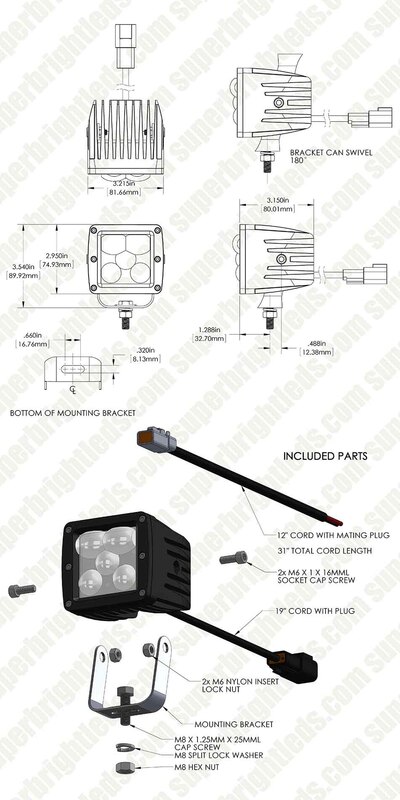 The LED light operates within a wide 10-30 VDC range. Best tight flat DRIVING beam, good cutoff. 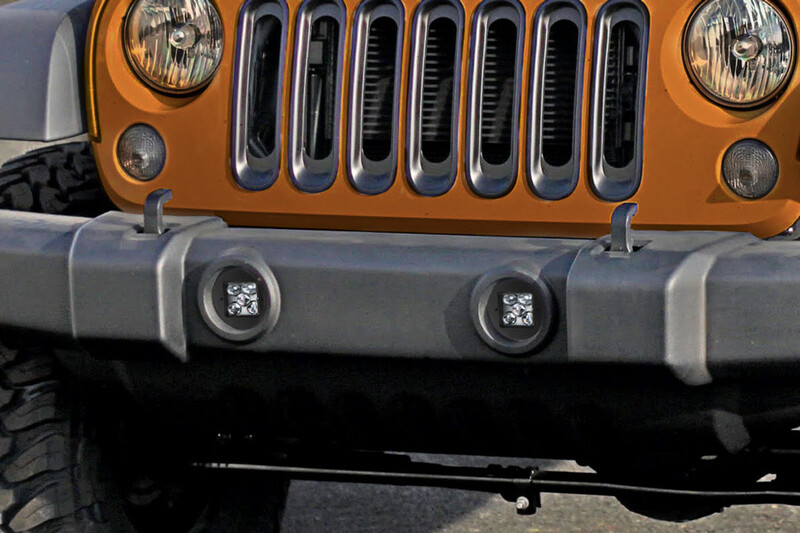 I have been looking for a decent DRIVING light. Most of the many lights that I have looked at fell short until I found these. 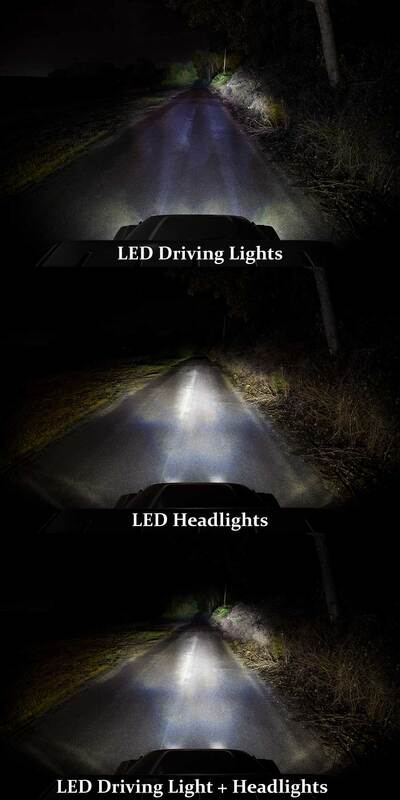 These put the light exactly where you need it with no glare to other drivers. A nice flat beam with a hot spot with no glare directly in front of the bike. 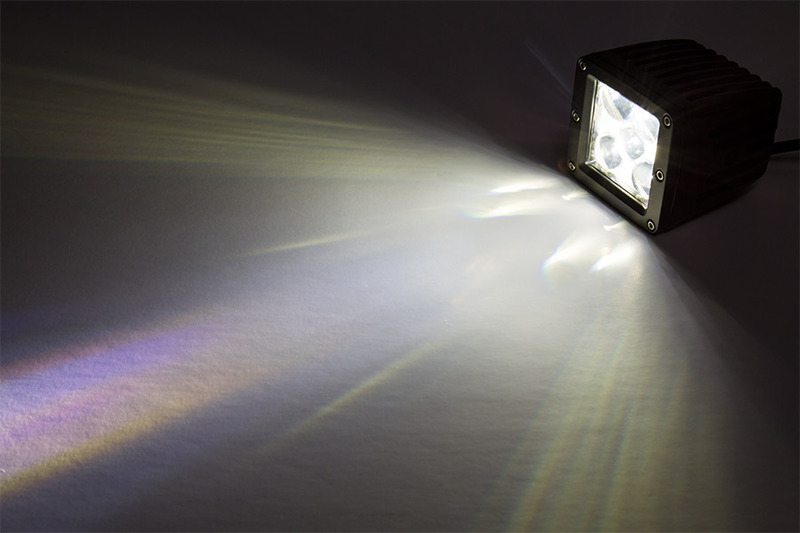 It gently lights up the sides of the road and puts a bright flat spot down the center very well. Glad that someone got it right! Just be careful and adjust the top edge of the beam to be just below the horizon. I bought two of them and am very happy with them. Solid construction and very well focused clean light.